Zuni Christian Reformed Church is a diverse body of Christians from Zuni and surrounding communities who worship and serve the Lord together. While Zuni people comprise the core of the congregation, there is a rich representation of other ethnic groups in the approximately 200 member church. The members serve the Lord, each other and the community through worship services, Bible study and prayer groups. A variety of educational, recreational and support programs meet many types of needs in the Zuni community. The church is also involved in a Zuni Bible Translation Program. The church is served by a pastor, a youth leader, a discipleship leader and a six member Church Council made up of members of the Zuni Christian Reformed Church. Approximately 55% of the operational funds come from contributions of the church members. The remaining 45% is raised through contributions from the Christian Reformed denomination, individuals and churches. 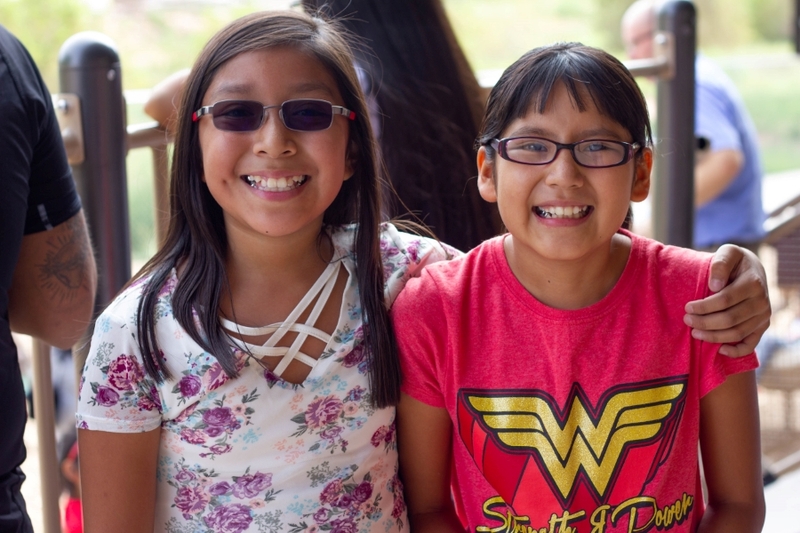 Zuni Christian Mission School provides Christian mission education to approximately 94 kindergarten through eighth grade students from about 50 families. A Christian perspective guides our students to interpret the world and our relationships to the Creator God and his purposes. A mission perspective invites our students and their families to embrace their Creator God and his purposes in their lives, and to worship and serve him. In contrast to the ethnic diversity of the church, the school almost exclusively serves a Zuni population. The school has 17 part and full-time staff, serving as administrators, teachers and support workers. The School Committee [Board], made up of five people who are members of the Zuni Christian Reformed Church, provides leadership to the school. Approximately 15% of the operational funds come from parent tuition contributions. The remaining 85% comes from gift contributions from the Christian Reformed denomination, private foundations, individuals and churches. What gives life to these bones of a church and a school? It is this—a vision that Zuni people, young and old, will be planted in Biblical truth and surrounded by God’s grace. In the mysterious ways of God, many people, here and beyond Zuni, have the privilege of participating in this calling. As you explore our web site, we hope that your part will be apparent. We pray that through your participation you will bless the Zuni Christian Reformed Mission and that you will be blessed.